See the interactive graphic here. From fiscal years 2008 to 2013, Maryland’s federal and state highway funding decreased by about 16 percent. The drop in federal funding was the fifth largest in the nation. 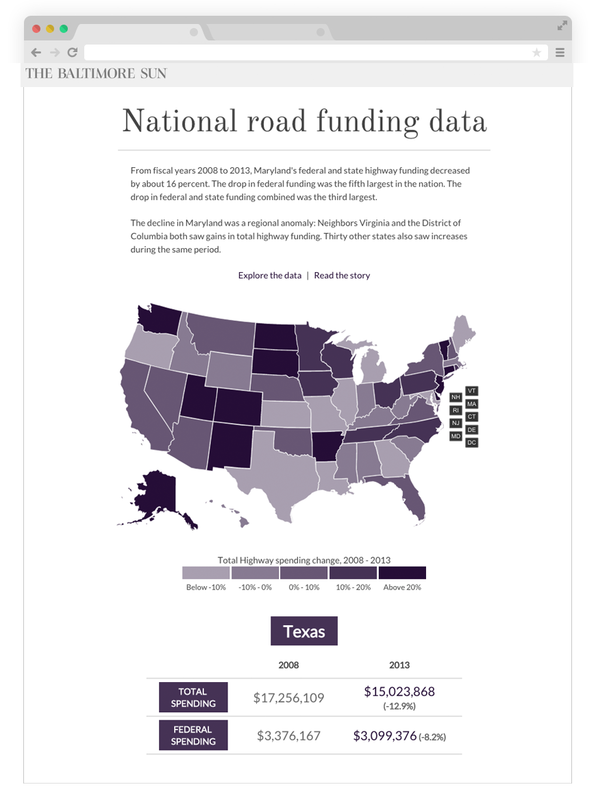 The drop in federal and state funding combined was the third largest. The decline in Maryland was a regional anomaly: Neighbors Virginia and the District of Columbia both saw gains in total highway funding. Thirty other states also saw increases during the same period.